On October 4th, 1984, Thomas Sankara addressed the General Assembly of the United Nations. It was a historical speech, as only he, the great orator, could speak. It was moving, it was strong, and it was good. Below is an extract of his speech. 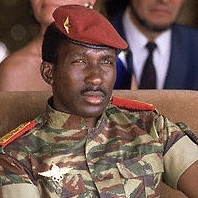 For the whole speech, go to thomassankara.net. Enjoy!!! “I speak on behalf of the millions of human beings … thrown out of work by a system that is structurally unjust and periodically unhinged, who are reduced to only glimpsing in life a reflection of the lives of the affluent. I speak on behalf of women the world over, who suffer from a male-imposed system of exploitation. … Women who struggle and who proclaim with us that the slave who is not able to take charge of his own revolt deserves no pity for his lot. This harbors illusions in the dubious generosity of a master pretending to set him free. Freedom can be won only through struggle, and we call on all our sisters of all races to go on the offensive to conquer their rights. I speak on behalf of the mothers of our destitute countries who watch their children die of malaria or diarrhea, unaware that simple means to save them exist. The science of the multinationals does not offer them these means, preferring to invest in cosmetics laboratories and plastic surgery to satisfy the whims of a few women or men whose smart appearance is threatened by too many calories in their overly rich meals, the regularity of which would make you—or rather us from the Sahel—dizzy. We have decided to adopt and popularize these simple means, recommended by the WHO and UNICEF. I speak, too, on behalf of the child. The child of a poor man who is hungry and who furtively eyes the accumulation of abundance in a store for the rich. The store protected by a thick plate glass window. The window protected by impregnable shutters. The shutters guarded by a policeman with a helmet, gloves, and armed with a billy club. The policeman posted there by the father of another child, who will come and serve himself—or rather be served—because he offers guarantees of representing the capitalistic norms of the system, which he corresponds to. I speak on behalf of artists—poets, painters, sculptors, musicians, and actors—good men who see their art prostituted by the alchemy of show-business tricks. I cry out on behalf of journalists who are either reduced to silence or to lies in order to not suffer the harsh low of unemployment. I protest on behalf of the athletes of the entire world whose muscles are exploited by political systems or by modern-day slave merchants. Yes Kebba, Thomas Sankara was a true African genius, proud of his country and people, and happy to work to empower them and all others. He was a true leader! Thanks for linking to this article. Thanks for reblogging and linking to this article. Have a great day. It seems unbelievable how a man was able to look far ahead, to guess the deep and true implications of international maneuvres; he depicted the only possible developing programme for his nation and African Nations. It is unbelievable how he has been silenced. It is unbelievable how the world is calling some nations “the democratic nations” that are even proclaiming that they want to export democracy. 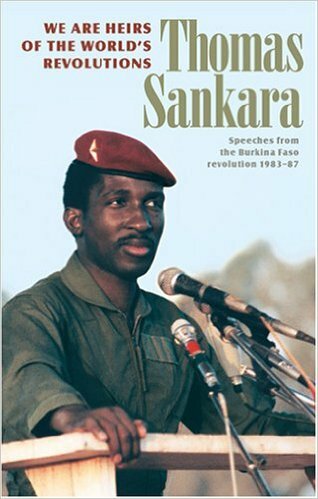 No words and may God give us somebody again like Sankara. What is Africa’ s problem? The challenges confronting us today are the same and the means to solving them are very clear for all to see. 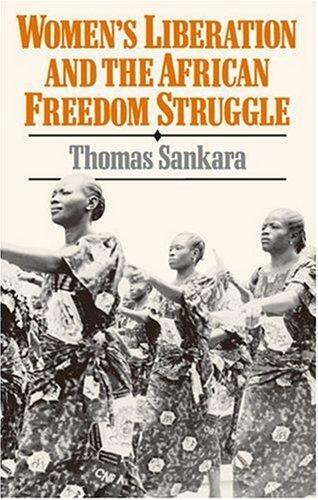 Why then do we keep moving round and round, day after day, month after month and year after year without taking those clear cut routs as formulated by the great Sankara? Why? Very good question Damian. I think the biggest problem is the division in our midst! That is what Amilcar Cabral called “The Cancer of Betrayal”. We are not united. We let our good leaders be crushed by the west, or we are used against our people to crush them. Like you said, the solutions are so clear, but yet, we are still down there! Can you imagine that a country with as much resources as Congo does not have roads linking its main cities to each other? Why is that? the vultures are at work, and unfortunately, we are not united! and we have been made to think in individualistic terms: my pockets first, my money… no patriotism. Well, there are other problems, of course, but I think this is the main one! True real son of the soil of Africa we need 100 more of Tom sank today what he said in his time, we see it clear today may God send us Tom sank again not only for his birth country but for Africa as whole.Yes we had good black man not what we got now men without balls en brains . True, he was younger than these old leaders we have to day but he was considerate about his people and fought tooth and nail for them. Leaders of today just want to enrich themselves .. I admire his leadership qualities. This man taught me that leadership is all about being selfless and considering the needs of other people before one’s own. He was in his thirties when he became president but he was far more intelligent and courteous than the elder leaders Africa has today. There are people who were meant to lead others and I believe without a doubt was one of them. He said in one of his quotes: “To Lead is To Serve.” In deed he served his people. His legacy should live on! Thank you Clementine, and yes, I totally agree with you: Thomas Sankara was a selfless man who loved his people and country deeply, and worked to serve them tirelessly. 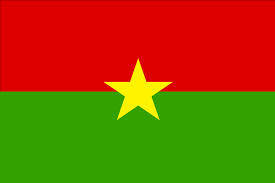 Viva the Great Spirit of crd Sankara Viva!! !